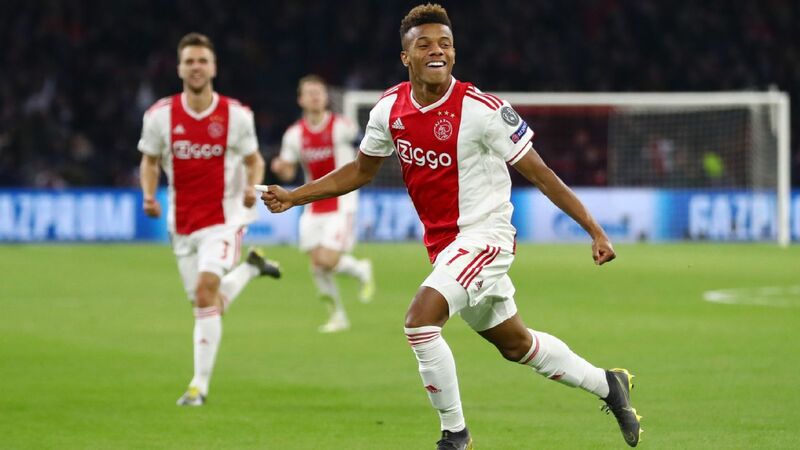 Barcelona's long pursuit of Frenkie de Jong could be coming to an end as Manchester City and Paris Saint-Germain reportedly prepare a bidding war for the Ajax midfielder. While de Jong is likely to cost upward of €50 million, Marca are reporting that Barca's attentions have switched to Villarreal's Pablo Fornals, who has a €25m release clause. However, they add that Fornals is not interested in making the move in the middle of the season, and so Barca may have to wait until the summer to add to their midfield ranks. Fornals, 22, has returned to the Spain squad this season after a two year absence from the senior squad. 23.30 GMT: That will bring our Transfer talk LIVE blog to an end on Friday. 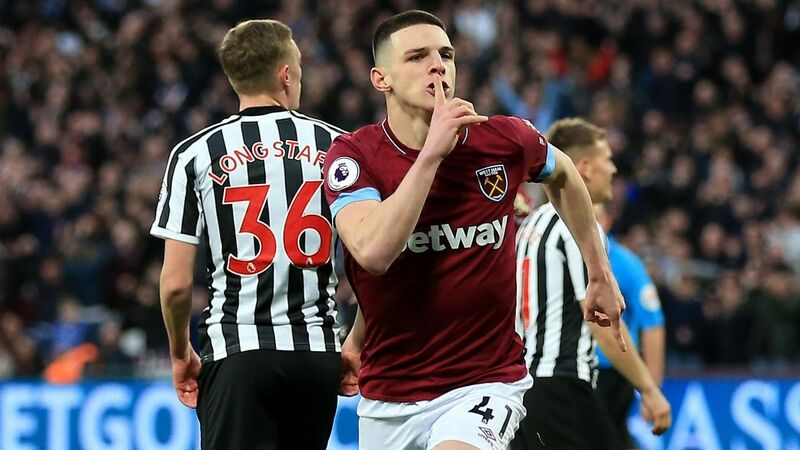 Hope you enjoyed following along with us and remember to check back in a few hours for more reports, rumours and rumblings from around the world of football. Good night! 23.17 GMT: Another day and another centre-back linked with Manchester United. The Sun claims that United can sign Greek and Roma centre-back Kostas Manolas by triggering his £32 million release clause. Roma were hopeful of re-doing the Greek's contract and trashing his release clause but it is becoming more and more likely that Manolas will seek a lucrative move to a bigger club. The 27-year-old has made 184 appearance for the Giallorossi since joining in 2014 and is best known for scoring Roma's vital third goal in their historic comeback vs. Barcelona in last year's Champions League. 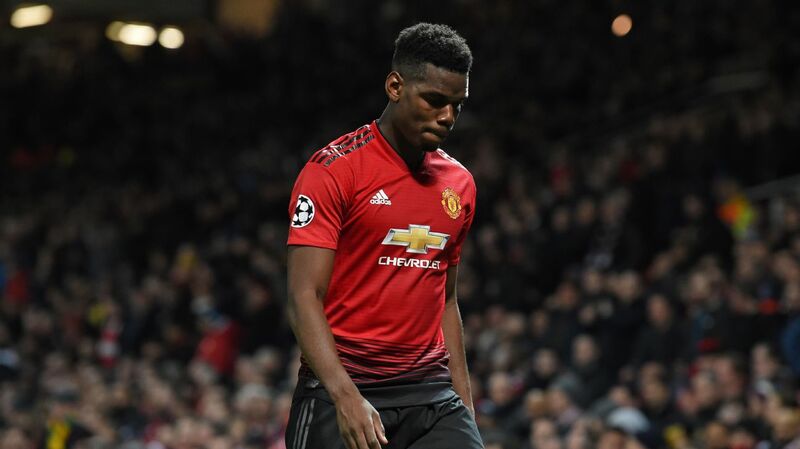 Man United have been linked with every centre-back under the sun and with the club unable to sign Harry Maguire, Toby Alderweireld, Raphael Varane or Yerry Mina this summer. Could Manolas finally be the answer to Jose Mourinho's defensive predicament? Only time will tell! 22.10 GMT: Could Saturday's Copa Libertadores second leg decide the future of Boca Juniors starlet Cristian Pavon? Pavon, who is believed to have a release clause north of £40 million, has been hesitant to move to Europe in the past, with winning the Copa Libertadores with Boca Juniors a career goal of his. If Boca win on Saturday, that would be checked off the bucket list and seemingly free up the player for a big-money move to Europe. The 22-year-old winger has tallied 26 goals and 29 assists in 95 games with Boca's senior team and has been linked in the past with giants like Arsenal, Real Madrid and Barcelona. Needless to say, all eyes will be on Buenos Aires tomorrow. 21.19 GMT: -- DONE DEAL -- Leicester have signed academy graduate Hamza Choudhury to a five-year contract extension that will keep the youngster at the King Power through 2023. 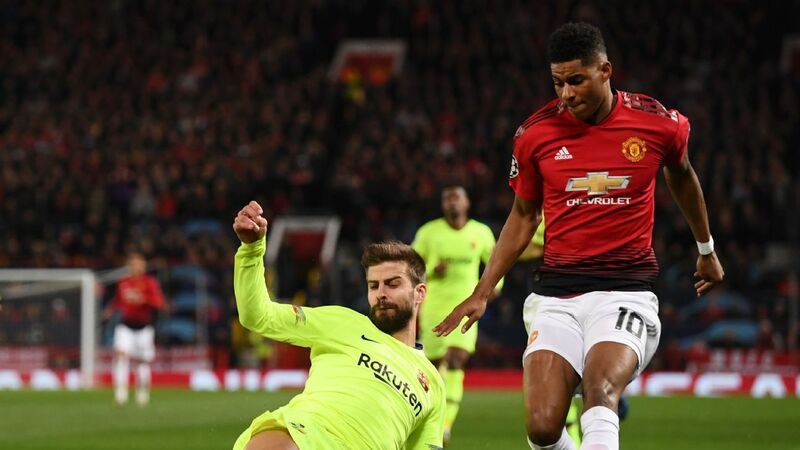 The 21-year-old defensive midfielder and England Under-21 international has made 10 appearances for Leicester's senior side but it widely regarded as one to watch for the future. 20.31 GMT: Wolves have potentially be handed some good news on reported target Scott McKenna. The 22-year-old Scotland and Aberdeen defender has become a target of several Premier League clubs with Wolves near the top of the list. McKenna's club manager Derek McInnes has admitted it will hard to hold on to the player for long. "I'm hoping we can keep Scott for as long as possible but I am realistic enough to know that somebody of Scott's ability is always going to be on the radar," McInnes said in a recent interview. Not exactly words that will warn off potential suitors in January. 19.23 GMT: Is Jan Oblak set to leave Atletico Madrid? Not if Diego Simeone and Atletico Madrid have anything to say about it. Simeone confirmed that Atletico have begun contract extension talks with the Slovenian goalkeeper in the hopes of keeping him at the Wanda Metropolitano for the long-term. 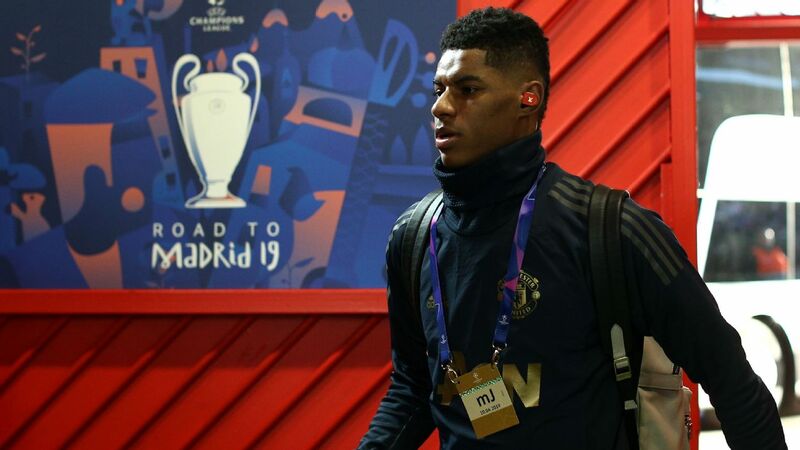 "He knows that we need him too, he's a key player in the present and in the future of the club's potential growth," said Simeone when speaking with the media. Oblak, one of the top goalkeepers in the world, has allowed just eight goals (on 37 shots) in 12 games this season for Atleti, who play Barcelona on Saturday. 18.32 GMT: Last year Arsenal snapped up striker Pierre-Emerick Aubameyang from Borussia Dortmund and the Gunners could be back for another raid of the Westphalians. German outlet Bild claims that Sven Mislintat is keen on bringing 23-year-old midfielder Julian Weigl to London. Once one of Dortmund's crown jewels, Weigl has seen his role reduced under new manager Lucien Favre and Arsenal could be quick to capitalise. 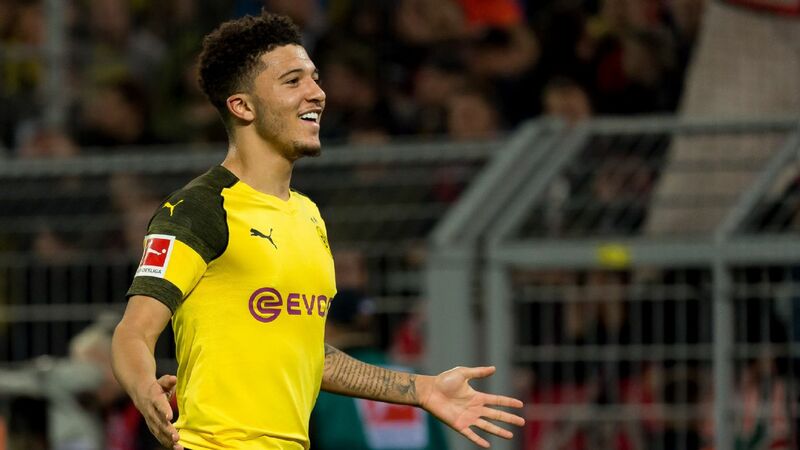 The central midfielder has started just two games this season for the Black and Yellows but is a big talent who has already been capped for the German national team. With Aaron Ramsey likely on the way out of town, Weigl would be a quality addition in the middle of the park. 17.49 GMT: MLS has become a popular landing spot for Mexico national team players in Europe who are looking for a move closer to home. Following in the footsteps of Mexican players like Jonathan and Gio dos Santos and Carlos Vela, there are now reports Marco Fabian could be next. The Eintracht Frankfurt and Mexico midfielder told Univision that this will be his last season with Frankfurt and that MLS could be a possible option as his next destination once his contract expires this summer. The 29-year-old Fabian has only played once this season in the Bundesliga for the reigning DFB-Pokal winners and has scored eight goals in 50 games since joining the Eagles in 2016. 16.55 GMT: Reports linking Luka Modric with a move to Inter Milan have started up again, with Corriere dello Sport writing that the midfielder could join in the summer, and that Real Madrid have no intention of extending his contract. 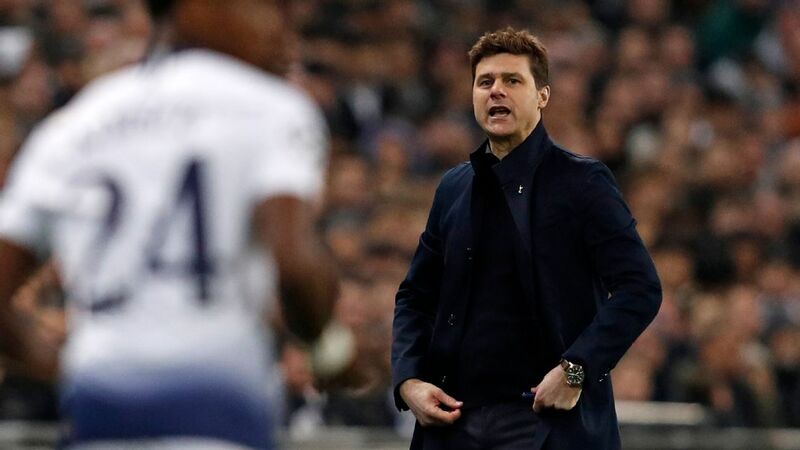 They would reportedly use money raised from this transfer to try and sign Tottenham midfielder Christian Eriksen, and PSG forward Kylian Mbappe. 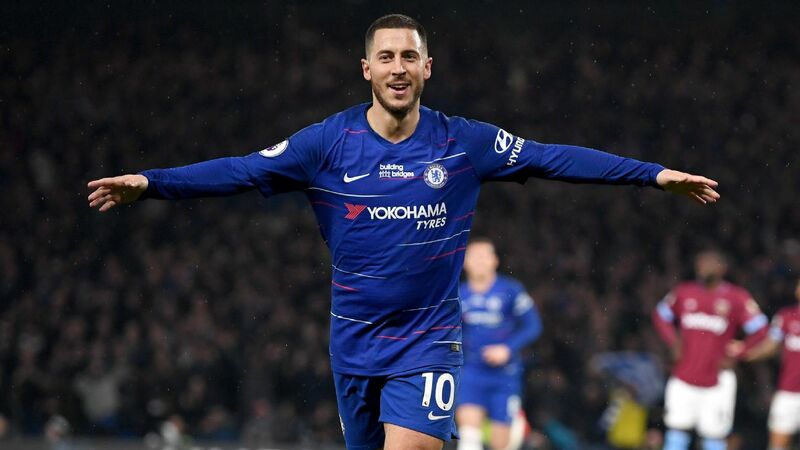 16.10 GMT: Fresh from retiring from football, Didier Drogba has urged Eden Hazard to end speculation about his future by signing a new contract at Chelsea. 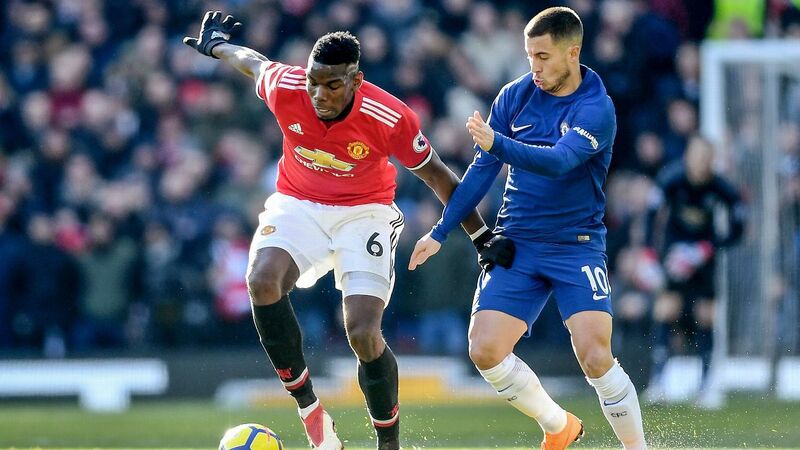 Drogba told Goal that Hazard is the "prince of Stamford Bridge", and hopes he will stay at the club despite continually being linked with Real Madrid. 15.40 GMT: An injury to Benjamin Mendy will not prompt Manchester City to buy another left-back in the January window, Pep Guardiola has said. Mendy is expected to miss 10-12 weeks with a knee injury, but Guardiola will likely use Fabian Delph and Oleksandr Zinchenko in his place as he did for much of last season. 15.10 GMT: Rafa Benitez is hopeful that he will get the chance to add to his Newcastle squad in the January transfer window. After a dismal start to the season, Newcastle have won their last two, and Benitez is hoping they will have more victories under their belt by the time the window opens. "We cannot stop winning because we have to do a good January window," he told Sky Sports. "I would like to go into January 1 with a lot of wins. 14.35 GMT: While Paco Alcacer has left Barcelona, Adrien Rabiot could be closer to joining come next week. 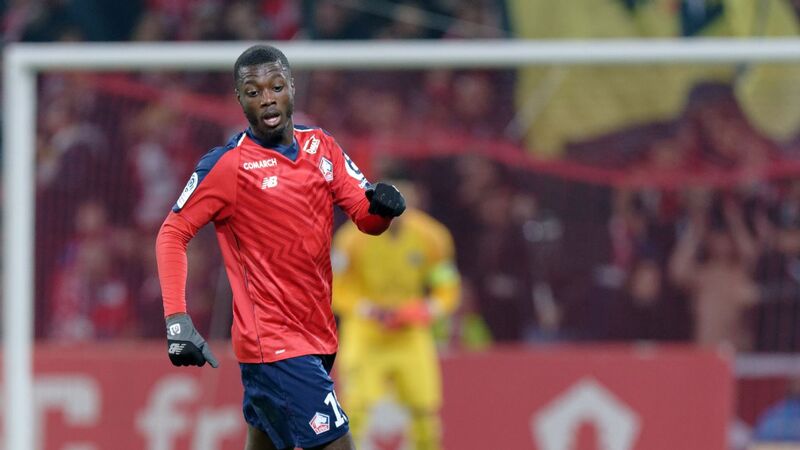 Sport report that the midfielder is set to hold talks with Paris Saint-Germain regarding his future, and with his contract up at the end of the season, Barca will be very keen to know of the outcome. 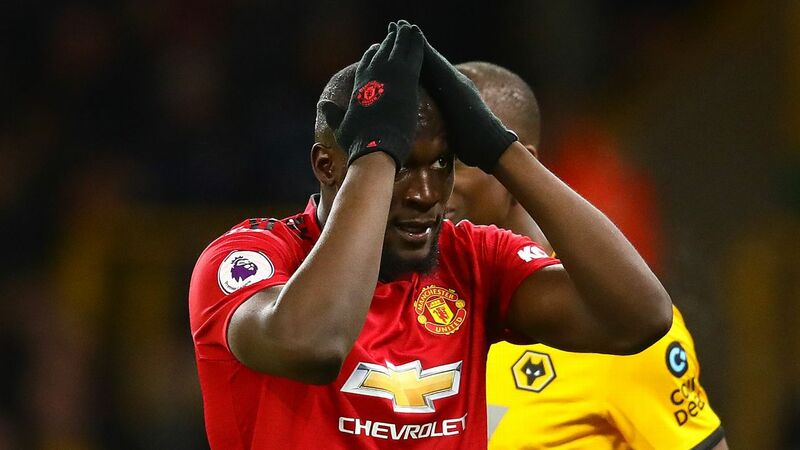 14.00 GMT: The search for a club for Usain Bolt goes on, as Turkish club Sivasspor have distanced themselves from rumours linking the former athlete with them. "The rumours do not reflect the truth," Sivasspor vice-president Erdal Sarilar said. "Sivasspor is not an athletics club, reports that we are interested and want to sign Usain Bolt are false." 13.30 GMT: While life at LA Galaxy is going well for Zlatan Ibrahimovic, he has not ruled out a move to former club AC Milan. The striker has been speaking with Vanity Fair about what the future holds for his career. "There is an interest but I could stay for one more season in LA," he said. "It's not a secret that I like AC Milan. I was sad in Barcelona [in 2009] but everything changed in Milan. In Milan, I was smiling again and I wanted to repay their trust and what they did for me." 13.10 GMT: Another man staying at Liverpool is Sadio Mane, and Jurgen Klopp said that this new deal shows that there has been a culture shift at the club in that their best players no longer need to use them as a stepping stone. "It shows the change the club did in the last few years," Klopp said. "A few years ago people thought they had to leave the club for the next step. Now they think the next step is here." 12.50 GMT: Few teenagers in world football have been as impressive this year as Trent Alexander-Arnold. 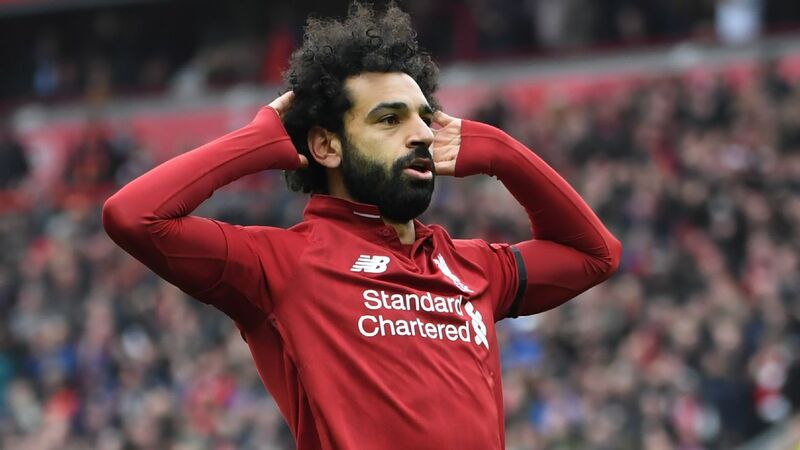 His first full season in Liverpool's first team saw him play in the Champions League final and the World Cup. The right-back has told Sky Sports that, if it were up to him, he would stay at Anfield for the rest of his career. 12.30 GMT: This will be sweet music to the ears of Wolves fans worried about the future of Ruben Neves -- Juventus manager Massimiliano Allegri has said he does not want to make any signings in the January window. "I don't need to ask for anything -- I wouldn't even know where to put them," he said at a news conference. "I've got so many players as it is and I'm happy enough with these." 12.05 GMT: The agent of Watford midfielder Roberto Pererya has told Tuttomercatoweb that, despite increasing interest from Napoli, his client is not interested on leaving Vicarage Road. Pererya has worked his way back into the Argentina team too, but is focused on helping Watford climb the table. 11.30 GMT: Turkish outlet Fotospor report that during Galatasaray's discussions with Liverpool for Divock Origi, they were offered Dominic Solanke on loan. Origi and Solanke have both struggled for game time at Anfield this season due to the form of Sadio Mane, Mohamed Salah, Roberto Firmino, and summer signing Xherdan Shaqiri. 11.10 GMT: Today's front cover of Tuttosport features Wolves midfielder Ruben Neves, Manchester United goalkeeper David De Gea, and Bayern Munich's James Rodriguez, who is currently on loan at the club. 10.30 GMT: Earlier this month, Manchester United were linked with a move for Juventus defender Medhi Benatia. However, Tuttosport say that AC Milan are leading the race for the Morocco international, and could make the move to the San Siro in the January window. 10.15 GMT: Bayern Munich chairman Karl-Heinz Rummenigge has confirmed that the club have an option to make James Rodriguez's loan move from Real Madrid permanent, but they are not thinking about triggering the clause at this time. "We have an agreement that there is an option we can activate until June 15 2019," he told sport1. "It's November now, and I don't think it's worth discussing this in November. "We will eventually make a decision, but certainly not in the near future. And that's just not necessary given the date of the option we have." 10.00 GMT: One of this season's surprise packages has been Paco Alcacer, who has been lighting up the Bundesliga since joining Borussia Dortmund on loan from Barcelona. BILD report that Dortmund are set to make the move a permanent one, and could announce the deal as soon as this Sunday. 09.40 GMT: Inter midfielder Radja Nainggolan has told ESPN FC that he does not regret turning down moves to Manchester United and Chelsea. The former Belgium international left Roma in the summer, and had been subject of interest from the Premier League. 09.20 GMT: Former Barcelona captain Xavi does not believe that Neymar will return to Barcelona. There has been growing speculation in recent weeks of Neymar's possible return to Barcelona, where he played for four seasons before joining Paris Saint-Germain in the summer of 2017. "I just don't see, it," Xavi told Cadena Ser. "Neymar did not depart that well [from the club]. I don't see that [his return to Barca] possibility whatsoever. I see there is zero chance that he can return to Barcelona. As a player if he matures, he can be explosive and can be close to Cristiano [Ronaldo] and [Lionel] Messi." Reports in Spain also say that Real Madrid's interest in Neymar has cooled, limiting the forward's options should he decide to leave PSG. 08.55 GMT: Napoli coach Carlo Ancelotti has not ruled out the prospect of bringing Edinson Cavani back to the club. The Uruguay striker's public disagreements with teammate Neymar and Kylian Mbappe's arrival have led to speculation his days at the Parc des Princes are numbered. Cavani, 31, spent three years at the Stadio San Paolo before moving to PSG in 2013 -- the same summer Ancelotti left for Real Madrid. "I've coached many champions, but not yet him [Cavani]," Ancelotti said. "I like coaching good players and he is a very good one." 08.25 GMT: NEW DEAL! Chelsea midfielder N'Golo Kante has signed a new five-year contract with the club. "I'm happy to extend my time with Chelsea, it has been two beautiful years and I wish for more to come," he said. 08.00 GMT: West Ham forward Marko Arnautovic was linked with a move to Manchester United during the international break, but his manager insists the Austrian is happy with the Hammers. Arnautovic told Austrian newspaper Kurier last week he wanted "to compete with the very best", while his brother and agent Danijel said the 29-year-old must "play for a top team" to fulfill his potential. "I know Marko. I know the way he thinks," Manuel Pellegrini told reporters ahead of Sautrday's Premier League clash against Manchester City. "I think that every player in every team must have an ambitious mind and want to continue improving his career. "But I am sure he is happy here and the best way to [show] it is to continue having good performances." With it looking highly likely that Gary Cahill will bring his six-year stint with Chelsea to an end in January, the club have reportedly identified the long-serving defender's direct replacement. That man is Daniele Rugani of Juventus, who has been specifically selected by Blues boss Maurizio Sarri as the chosen successor to Cahill's mantle at Stamford Bridge. -- Juventus are piecing together a January raid for Wolves star Ruben Neves, according to the Mail. 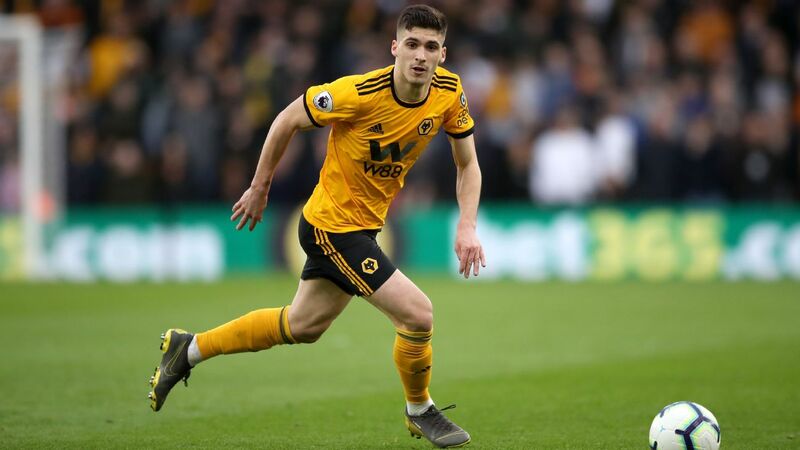 The midfielder has caught the eye with a series of impressive performances and spectacular goals since arriving at Molineux in 2017.